Even while hanging out on the couch you’re never more than a doorknob away from fresh air and the weather outside. 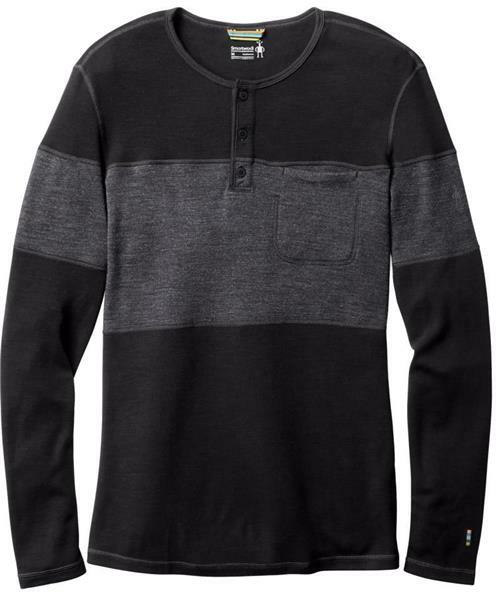 Enter Smartwool's Merino 250 Henley. It can hang out with the best of them. A clean-finish drop-in front pocket, three-button look, and casual styling give it everyday cred. But with Smartwool's warmest Merino fabric and intelligent panels that eliminate seams at the shoulder, this shirt loves to get outside and move.